Marquette, MI January 8th, 2018: The Marquette Redmen are finally back in action tonight against the Gladstone Braves, a game in which saw the Redmen win 79-66. 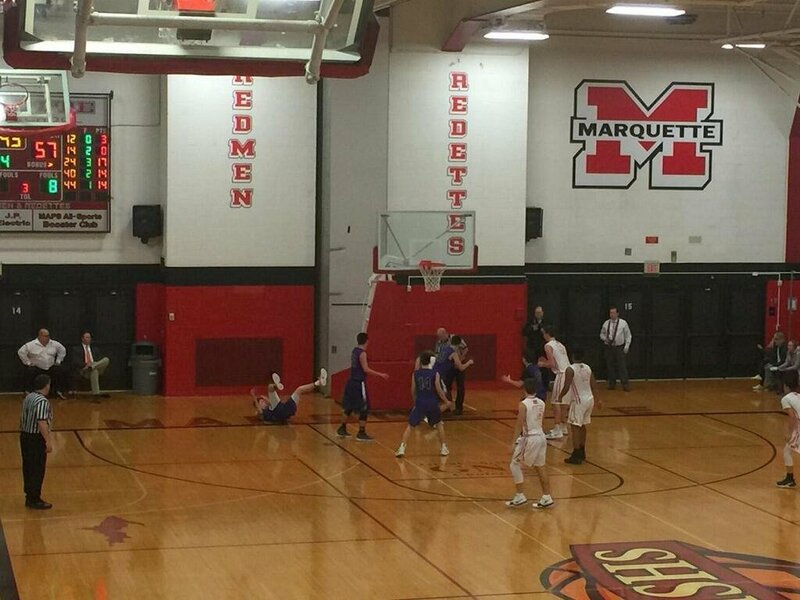 This is Marquette’s first basketball game in 17 days, going back to December 22nd when they beat Negaunee on the road. 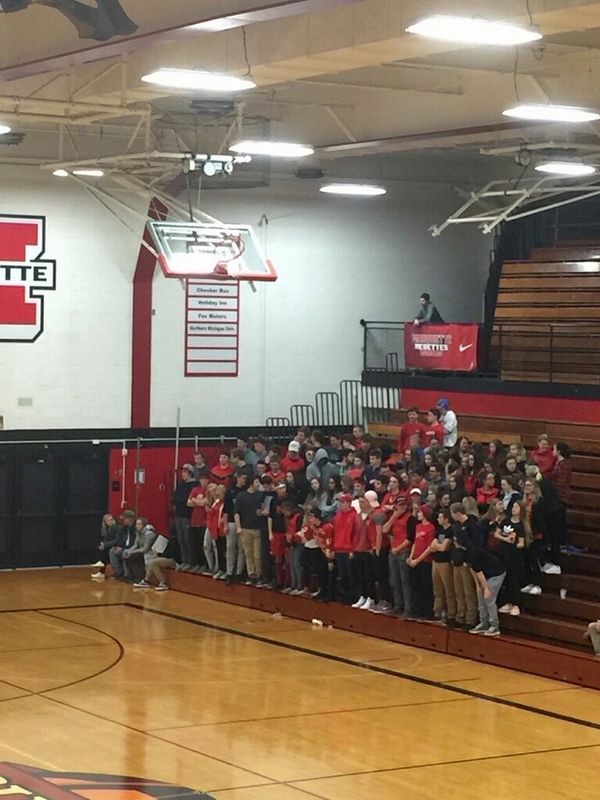 This is also the Redmens first home game of the 2017/18 basketball season after bad weather canceled two of their games this past week. 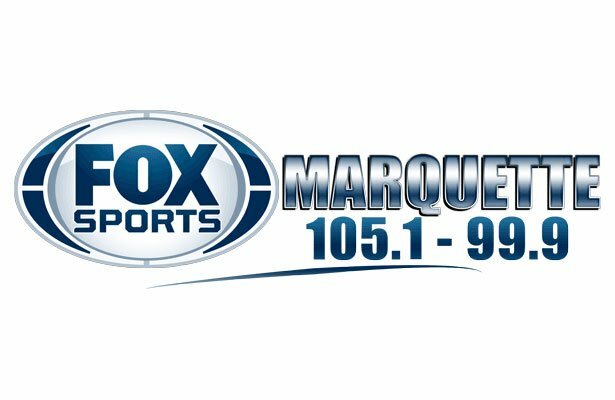 The game stream can be found on foxsportsmarquette.com. 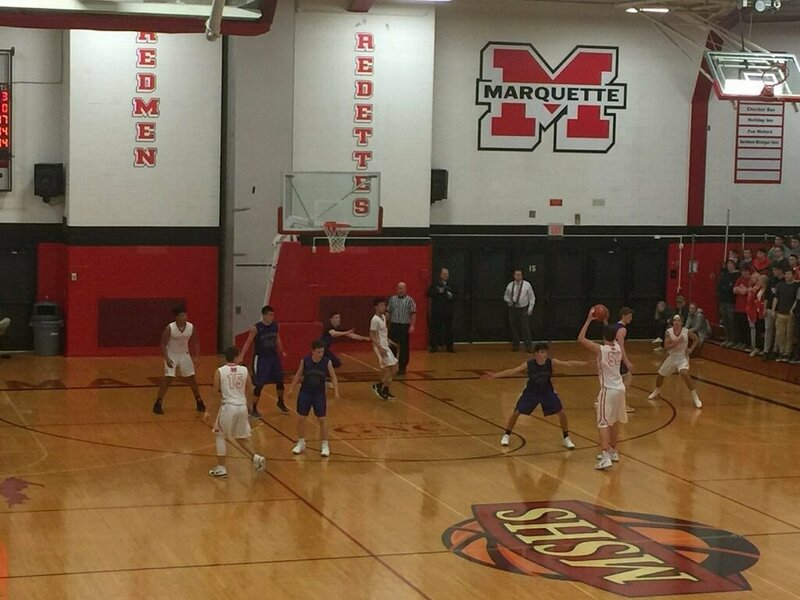 Tonight’s first half saw both Marquette and Gladstone unable to create any sort of separation from one another. 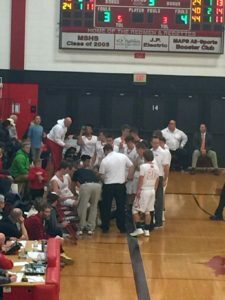 The Redmen saw themselves down by 5 points after the first quarter in what looked liked was due to their long break. 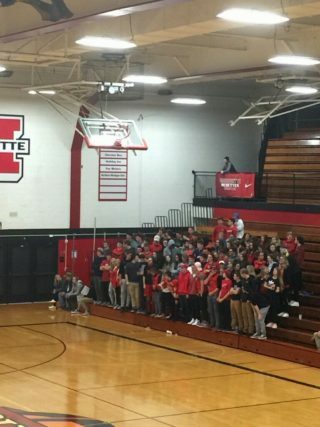 The Redmen were sloppy on offense early in the game throwing away a few careless turnovers. 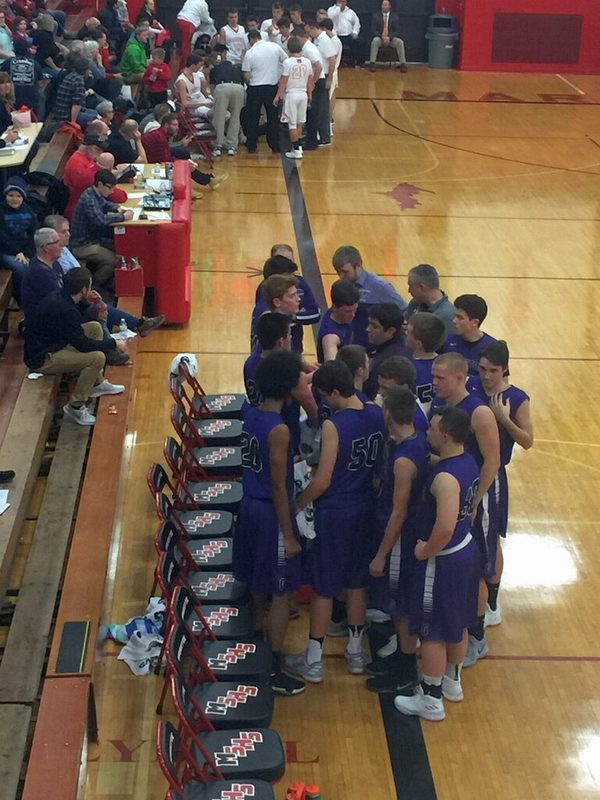 Gladstone appeared to be heading into halftime with a 3-point lead after hitting a jumper with 5 seconds remaining but Bryce Brazeau buried his own 3-point bucket to beat the buzzer and finishing the game with 5 points. 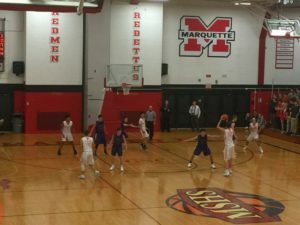 Coming out of the half things appeared to click into gear for Marquette who jumped out to a quick lead against Gladstone, a lead that they wouldn’t surrender for the rest of the game. Raffy Millado showed up with another strong showing for the Redmen finishing the game with 22 points followed by Luke Ogea with 17. Marius Grazulis pushed the smaller Gladstone Braves around with a few shot blocks to go along with 16 points on the floor. Marquette said after the game that they were encouraged to see so many fans at tonight’s game and were excited to finally be playing on their home court once again. 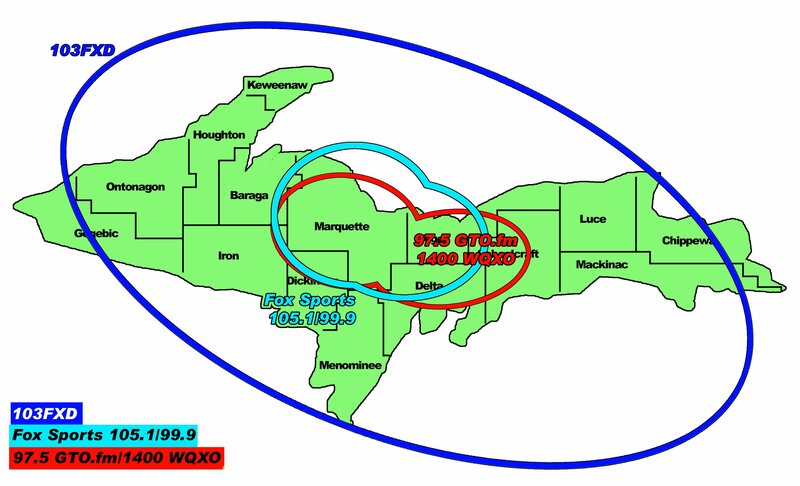 The Marquette Redmen are back in action Friday January 12th as they test their 2-0 conference record on the road against Menominee, which can be found on 97.5 GTO.fm and online at foxsportsmarquette.com.